After performing in Europe, hard rockers Seether have announced they'll be coming to North America for their final headlining tour of 2015. 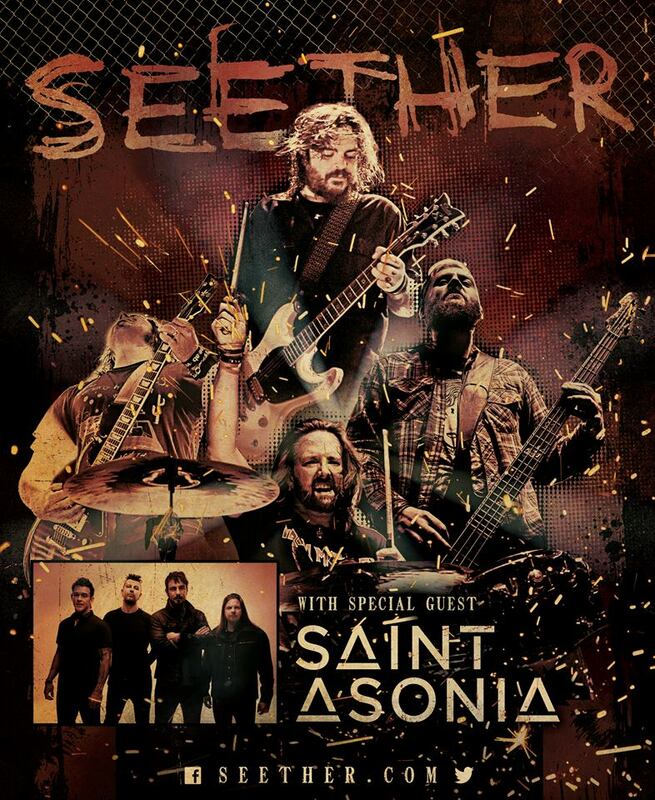 Opening for Seether during these shows will be Saint Asonia. WHEN DO SEETHER TICKETS GO ON SALE AND WHAT'S THE PRESALE CODE? Presales are currently underway for Live Nation (presale offer code is SOUND), Ticketmaster, Citi cardmember, and VIP Packages. Tickets for the general public go on sale July 31st. There are also VIP packages that include perks like early entry, autographed memorabilia, and a photo with the band. Each show can be different, so check the links below for more info. If you want great tickets for a reasonable price, check out Zumic’s preferred ticket broker: SuperStar Tickets. No fees, 125% money-back guarantee, and use discount code SHOPCONCERTS for 5% off your purchase. For the latest music, news, and tour dates from Seether, check out their Zumic artist page.